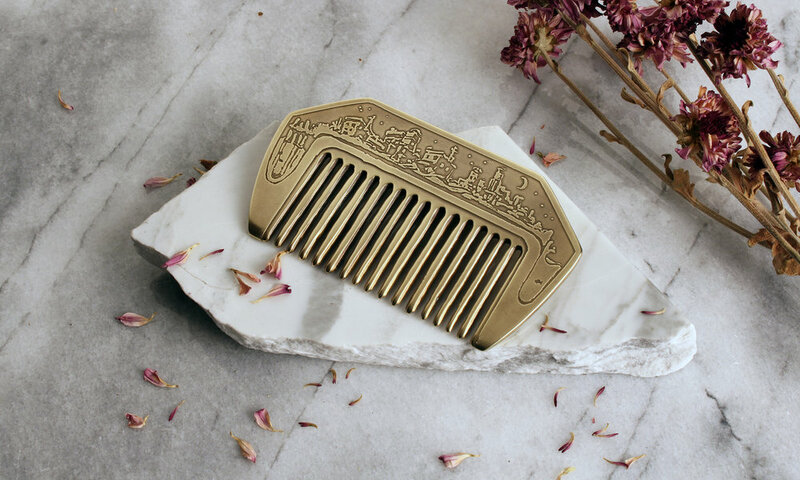 This comb is hand made from 1/8” brass plate. On one side, the sun shines down on a dormant volcano. On the other side, the moon and stars hang peacefully above a coastal city flanked by the rising sea waters.